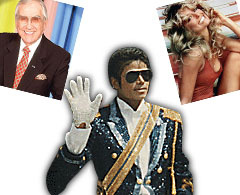 President repeals Celeb Death Rule after it causes "inadvertent" demise of Jacko. Automaker turns tables on White House, saying nation is bleeding red ink and "nobody is too big to fail." Justices insist wind caused their robes to fly off during photo shoot. Perez Hilton joins the fray.